Polypipe Ridgiduct Power Class 2 Cable Duct provides a durable, lightweight and flexible twinwall cable protection and fully complies with ENATS 12-24 Class 2 specification. Ridgiduct Power Class 2 cable duct is available in five inner diameter sizes of 100mm, 125mm 150mm, 225mm and 300mm in lengths of 2m, 3m or 6m and is supplied with an integral coupler to for quick on-site connections. 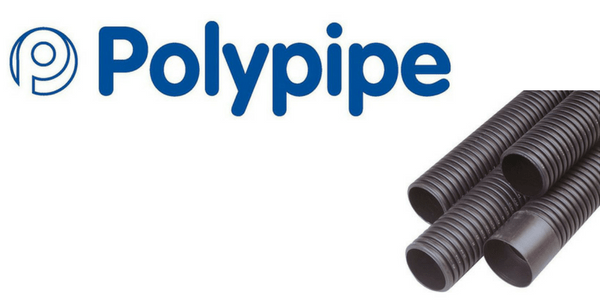 Polypipe Power Class 2 cable duct is a preferred choice DNO’s and is Network Rail PADS approved. ENATS 12-24 is a specification which defines the performance requirements for cable ducting. 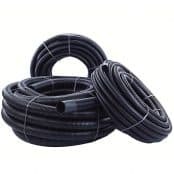 Class 2 cable duct means that the ducting provides 450N compression strength at 50ºC and is manufactured in either black uPVC or HDPE. T&D also supply Stokbord cable covers to provide additional protection to LV-HV underground cables. T&D distribute an extensive range of cable protection products including Centriforce Stokbord cable covers and concrete cable troughs. Note, all power drawn bends are not ENATS compliant.